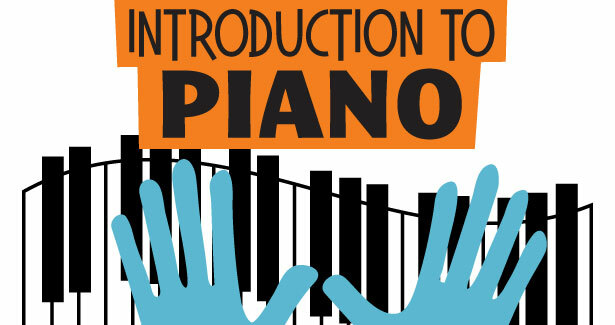 Join us on Wednesdays from 3:45 to 4:30 where, over this 7-week course, your children will learn the foundational skills and concepts of music and playing the piano. In this class the students will learn how to play the piano both from memory and from music, identifying and internalizing important musical concepts like dynamics and following a beat together as a group. This class is a great jumping off point for any student who is interested in singing or playing an instrument, even one other than piano. This is because students will leave this class having learned the basics of practicing, performing, and working with a group of peers to make music. Not to mention that the students get these benefits while also learning the piano, an instrument that is used to clearly visualize and simplify the complexity inherit in music. This class is an introductory course designed for ages 7 to 14. Enrollment is ongoing, so join at any time. Looking to take your piano to the next level, miss a class, or looking to join, but the course has already started? Nikola is a classically trained professional opera singer, as well as an avid performer of jazz and folk music. She has been a classical musician since the tender age of 8, having started piano lessons and later transitioned to playing organ. At 15 she began playing ukulele and mandolin. She jumpstarted her singing career after beginning her studies in voice at the San Francisco Conservatory of Music in 2009. Since then she has performed all over the Bay Area with local companies in lead roles such as Opera San Jose, Livermore Opera, West Edge Opera and West Bay Opera. She also starred in and created the role of Velma Louise Cole in Boxcar Theater’s immersive theater show “The Speakeasy.” She has also performed all over the country and in Hanzhou, Beijing and Suzhou with I Sing Beijing. In 2016 Nikola was a resident artist with Opera Memphis, where she also received her Artist Diploma degree in Opera Performance. She now resides in San Francisco where she performs and teaches voice, piano, theater and movement. Ongoing enrollment - join anytime!